To give you a sense of the company’s philosophy around the CARPROOF Vehicle Valuation Report, director of product management Shawn Vording likens it to the approach in the real estate market. “When you’re buying a home, you don’t actually care what similar homes are listed for. 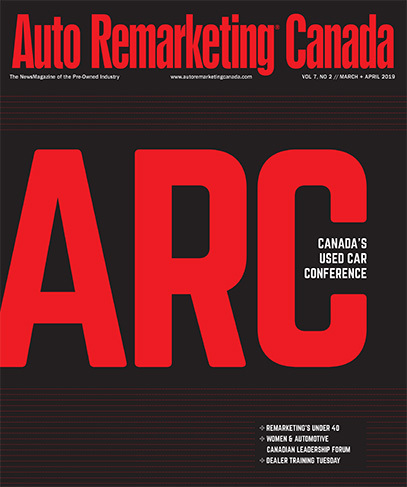 You care what similar homes are selling for,” Vording told Auto Remarketing Canada in a phone interview last week. The data he refers to is the price at which a vehicle is actually sold, something CARPROOF said sets VVR apart. This used-car appraisal tool that the company launched on Monday “offers a new approach to vehicle valuation,” CARPROOF said in its news release. The VVR is powered by True Retail Sold values, which makes it different from similar services. In the announcement, vice president of dealer sales Chris Alfonso said: “VVR alters the valuation and appraisal game by providing dealers with actual retail sold values — what comparable vehicles sold for, rather than just what they are listed for. One of the players involved in pilot testing was The Birchwood Automotive Group.